Now you're probably wondering how can someone not know their disease is rare? (You have my permission to turn this into a drinking game. One drink for every time I use the word rare, two when I say disease.) Well, the answer to that question is ignorance. There's really no other way to put it. 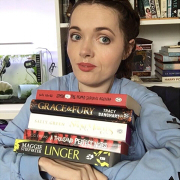 When it comes to my disability, for most of my life I lived with an 'I'll know when I need to know' mentality and as such I've never been that knowledgeable about my disability or even the disabled community. I've known how it impacts me on a day to day basis but other than that I never much of a wider interest. I didn't think about how many others there were like me and whether that was a lot or, as it turns out, my disability was rare. The fact my disability is rare sort of lent itself to this way of thinking. Growing up, everything felt like a guessing game. Doctors were never quite sure what would happen next or when something did happen, they weren't 100% sure why. Phrases like 'not typical' or 'probably related to her Muscular Dystrophy' were thrown around, and then 'not fully diagnosed'. This really should have tipped me off as to the rarity and lack of knowledge and awareness surrounding my disability but all it did was give me a skewed trust in medical professionals. I always knew that Congenital Muscular Dystrophy was an umbrella term for a group of muscle wasting diseases but I hadn't really thought about what being fully diagnosed might mean. Then in 2014, at twenty four - you may remember if you're a long time reader - I finally got a more accurate diagnosis. Twenty one years after my original diagnosis. I have a Collagen VI Myopathy. Or well, maybe. Because when it comes to rare diseases, diseases with less research or awareness, or at least my one, nobody likes to speak in absolutes. So instead of saying I have a Collagen VI Myopathy, I'm told I have a suspected Collagen VI Myopathy. While this diagnosis felt empowering at first, when I did more research it became lonely. It was the first time I really did feel rare. There was even less information and awareness about this disease than my previous umbrella diagnosis. And I still didn't know anybody quite like me. 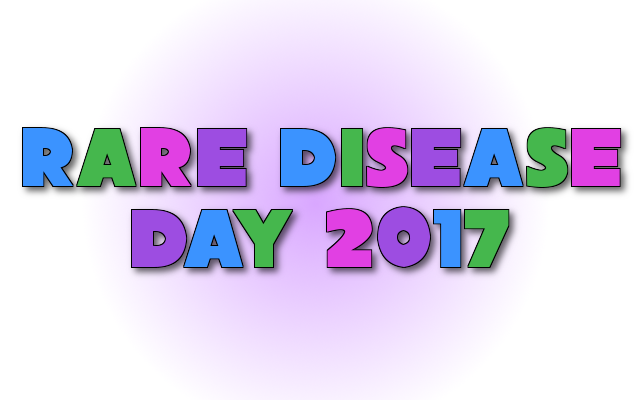 So I guess that's why I'm here today, finally writing about Rare Disease Day and hopefully bringing a little awareness to my rare disease. Maybe I'll even meet some others just like me! My name is Sara - but I prefer Bloo - and I have a Collagen VI Myopathy, probably. Please do check out my fact sheet on my disease and how it impacts me.